Discover and see some of the country's best landscapes in a different light and from a completely different perspective. Enter the Samsung Galaxy S7 — a durable, water resistant smartphone that will see you through your summer adventures, from the beach to the bush, rain or shine. This must-have device is the first smartphone to feature a professional-grade Dual Pixel Sensor, for unbelievably crisp and clear photos. The ultimate summer companion, the Samsung Galaxy S7 allows you to capture all those unforgettable moments, in or out of the water. All images were beautifully captured on a Samsung Galaxy S7 by Jared Donkin. 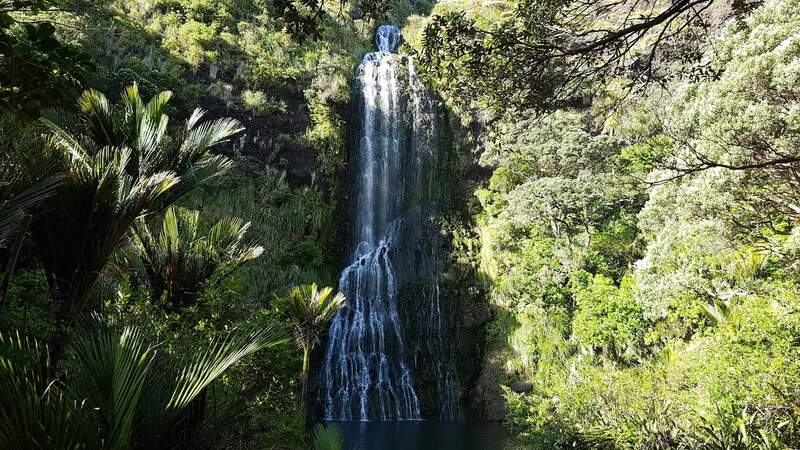 One of the most well known waterfalls in the Waitakere Ranges, Kitekite consists of six drops which fall into a large lagoon style pool at the bottom. Near to the famous black sand beach of Piha to the west of Auckland, the two can be combined for a great day trip. Kitekite is a forty metre drop and can be reached in forty five minutes by following the Kitekite Track. Directions: To reach the falls take the Kitekite Track from the carpark which follows the Glen Esk Stream for forty five minutes until you reach the falls. The track is easy to moderate and is rewarded by a nice dip in the falls. Also located on the North Shore in Albany, Lucas Creek really is a hidden gem. This is one of the most easily accessible waterfalls around Auckland and it's a real shame not many people seem to know about it! A short twenty minute drive from the city centre, the track to the falls is paved and has no steps so is suitable for wheelchair users and prams. Directions: Head north on State Highway 1 and take the Albany exit. Cross the bridge over Lucas Creek and turn right into Perekia Street where there is ample parking. Once parked, walk back towards the bridge and there is a footpath to the immediate left. 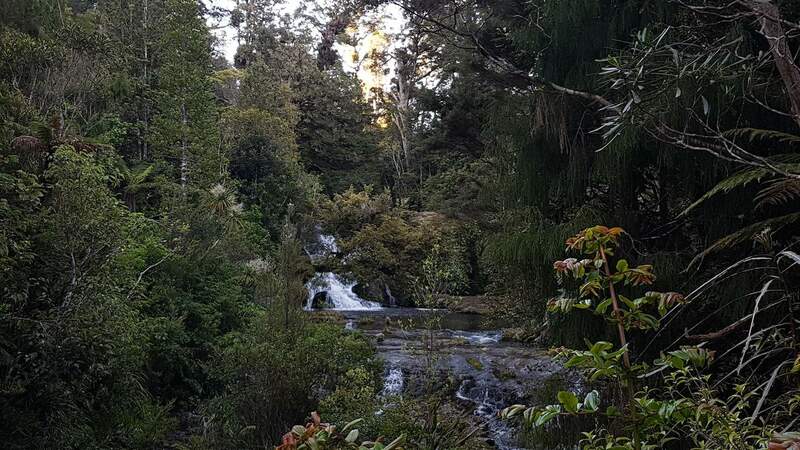 Shakespear Regional Park on the North Shore is home to Waterfall Gully which is best visited after it has rained. It can dry up a little if it has been a particularly dry summer but is nevertheless well worth a visit when you can have a dip when it is in full flow. Located at the tip of the Whangaparaoa Peninsula the park is home to three walking tracks as well as Waterfall Gully. Directions: A forty five minute drive from Auckland, turn off the Hibiscus Coast Highway when you reach the junction with Whangaparaoa Road. Turn right and you will reach Shakespear Regional Park. Follow the road to Army Bay which will lead you to Waterfall Gully parking. Another beauty in the Waitakere Ranges which makes for a refreshing dip is the stunning Karekare Falls. In the western part of the Waitakere Ranges Regional Park, this really is one of the 'must see' waterfalls in New Zealand. The falls are only half a mile from the beach so you can combine the two for a nice day trip. Directions: Around an hour's drive from Auckland city, head west towards Piha and just before Piha Village there will be a sign for 'Karekare. For parking there is either Karekare beach carpark or you can park on the left hand side of the road as soon as you spot the very top of the waterfall. The Waitakere Ranges just keep on giving don't they? 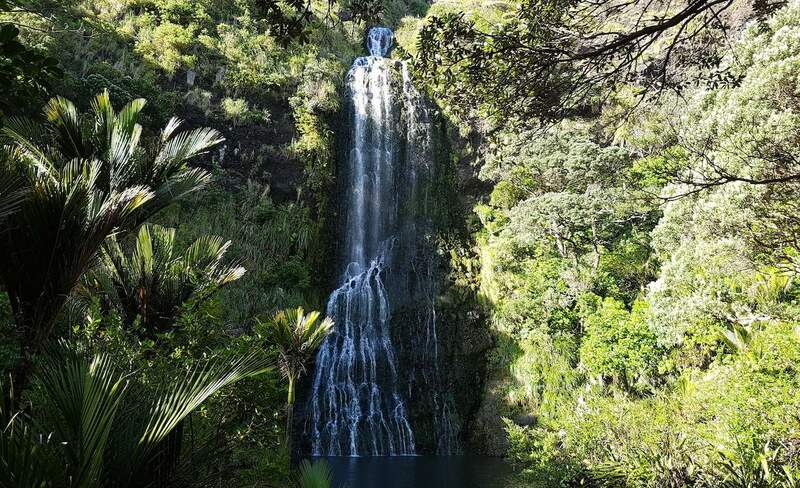 Another gem located in Waitakere Regional Park is the highest waterfall in the Auckland region. There are two options to get to the falls. 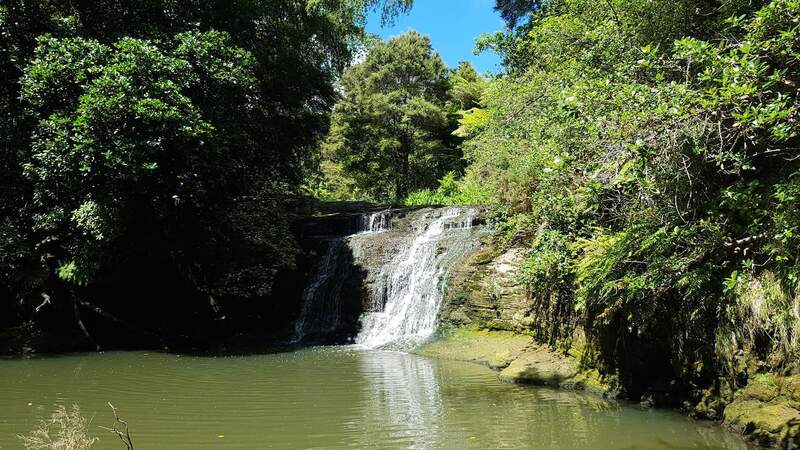 An easy thirty minute walk leads to the Waitakere Dam and from there carry on for another fifteen minutes and you can view the falls from a distance. For those swimmers out there who want to get much closer, walk down the steps near the dam and turn right. Nestled within the central part of the Waitakere Ranges National Park, Nihotupu Falls is made up of three separate waterfalls. All of them can be viewed from the track which leads to the Upper Nihotupu Reservoir. A nice picnic area is situated here and from there you can follow an old tramline to the base of the falls where you can dive straight in. Nihotupu is one of the more stunning waterfalls in the area and is a photographers dream. Directions: Head towards Piha where you will find a carpark on Piha Road, the start of the track is a ten minute walk from the carpark. Another of the most popular waterfalls in Auckland, Hunua makes a great day trip. Fully equipped with picnic tables and easily accessible from the car park, the pool at the bottom makes for a refreshing dip. Take care navigating the slippery rocks of this thirty foot drop as they can be a bit treacherous if you don't concentrate. 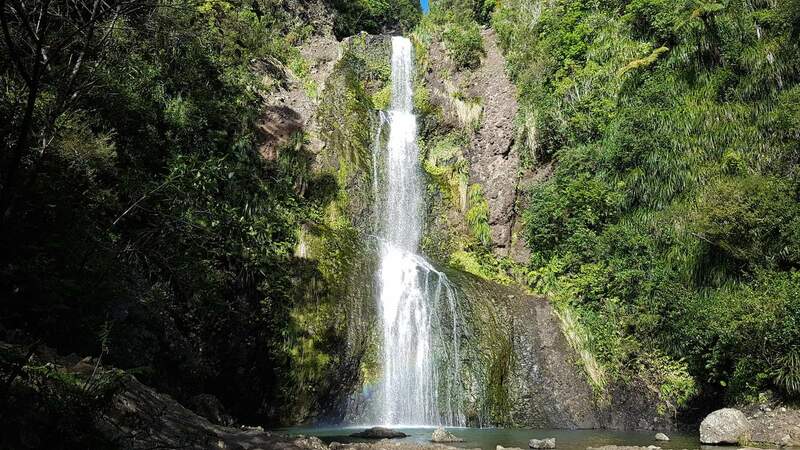 You can choose to just relax and swim at the falls or walk the short twenty minute Hunua Falls Loop Walk or the longer, more adventurous Cossey/Massey Loop. Directions: Head on State Highway one to Hunua Village where Hunua Falls will be clearly signposted. Turn left onto White Road and right again into Falls Road where you will reach the large car park. 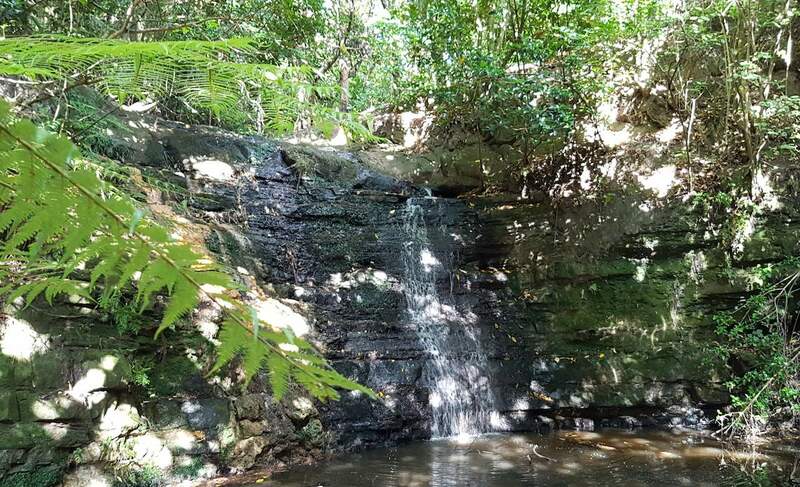 Located in the southern part of the Waitakere Ranges Regional Park, this fifteen metre waterfall is not the easiest to reach as the Karamatura Falls Track crosses some quite difficult terrain. The track starts from the carpark alongside the Karamatura stream where you will eventually come to the beginning of the Fletcher Track. Keep going along the path and keep following the Karamatura Track until the waterfall comes into view. Throw your togs on and jump straight in! Directions: Head to Huia Village (around forty five minutes from Auckland) and follow Huia Road where you will come to a well signposted car park. The track will be visible from the car park.